This post contains all the Airtel Blackberry plans for BB10 users on the Airtel Network in Nigeria. You will find all the various airtel blackberry plans for BB10 users which includes Airtel blackberry Monthly, weekly and daily plans. See the full details of the subscription codes and price list below. 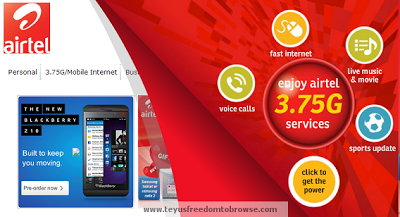 Subscription codes of the Airtel Blackberry Monthly, weekly and Daily Plans for BB10 users.